Blackford: its old Church and Churchyard—Battle of Sheriffmuir in 1715—Weaving Villages of Scotland Ruined by the Introduction of the Power-Loom—Kincardine Glen, Duchally Mill, and Auchterarder—Old Days of the Spinning Wheel and Hand Cards for Wool - Dollar - Relatives - Castle Campbell—Petition to the Duke of Argyle—A Duke greater than a Lord—A 'Hielan" Proclamation—First Wool Mill in Dollar—Thomas Forrest, Vicar of Dollar—Castle Campbell burned by the Macleans in 1644—Making of New Walk in Dollar Glen—Grant of Water to Dollar by Sir Andrew Orr - Porgober—Higher Sea Levels—Collieries—Healing Properties of Vicar's Bridge Mineral Water—Story of 'Old Lachie' and the Coal Pit. Wilson Family of Bankhead, and Letters from America during the American War in 1812 and 1813—First Steamer on the Clyde (the Comet) in 1812—The Old Home in Dollar— Stories about the late Mr. Stewart of Glendevon—Reform Bill of 1832. Meal Mill and Big Wheel below Castle Campbell Wood—Plan for a Range of Mills in Dollar Banks—The Poet Burns at Harvieatoun Castle—Bird's-Eye View of the Devon Valley, and Archbishop of Canterbury Peak—Tait's Tomb—Old Buildings in Dollar—'Old Craigie'—Days of the Corn Laws —Literary Shepherd born in 1712. Teachers in Dollar Academy in my School Days—The Old Church of Dollar, rebuilt in 1775—Sacramental Fasts generally, and Special Days of Fasting in Markinch in the year 1640— Dog made to 'ken' how to keep the Sabbath—An Old Lady's Opinion of what constituted 'a Christian '—Rev. Dr. Mylne on 'The Ten Virgins '—Correspondence between Dr. M'Kelvie and Dr. Mylne—New Trustees for Dollar Academy appointed in 1826—Act of Parliament got in 1847, constituting a new Board of Trustees—Death of Dr. Mylne in 1856—Extracts from the Statistical Account of Dollar in 1792, by the Rev. Mr. Watson—Detailed Notice of Teachers in the Academy up till the year 1835—Pupils at Dollar Academy in my School Days—The Rev. Dr. Wyllie—' Run-line '-Origin of the Name of Cairnpark in Dollar—Old Families of Dollar —The Blackwood Band of Fiddlers—.Johnnie Cook and Fiddlefield—John Orr and Battle of Alexandria in 1801— The Horse Shoe, and Western Suburbs of Dollar—Story of the Goat and Gander going to Church—Gloomhill and Hillfoot—Old Families of Dollar continued—First Post-master appointed in Dollar in 1830. Relatives at one time in Clackmnannan—Bankhead Farm—Sojourn in Dunfermline—Manufacturing Firma, etc., in Dunfermline Forty-five Years ago—Annular Eclipse of the Sun on 15th May 1836—Means of Locomotion in those days. Begin Business in Dollar—Old Firms in Glasgow Forty Years ago —Increase of the ,City of Glasgow since then—Scientific Discoveries and Progress in the Nineteenth Century—First Telegraph Message flashed across the Atlantic on 17th of August 1858—Invention of the Telephone: Conversation carried on between Persons 1000 Miles apart—Discovery of Photography—Portraits taken by a Machine—New Aniline Dyes—Revelations in Geology and Astronomy—Progress in the Science of Chemistry—Introduction of Railways--The Art of Printing discovered in 1448—Immense Strides the Press has taken during the last Fifty Years—Beautifully Illustrated Literature of the Present Day—Fabulously Low Prices at which Books can now be Published—Established Church at Dollar, and Free Church at Shelterhall—Milnathort: 'Coaching Days,' etc. Tillicoultry and Neighbourhood—Legend of the 'Clenched Fist' —Old Castle in Tillicoultry—Names of Hills in the Ochil Range—Last Occupier of Mill Glen House Farm—Extracts from Statistical Accounts of Tilicoultry Parish, written in 1792 and 1840—Fishing Streams of the Ochils—Glenfarg one of the most Picturesque Glens in Scotland—Tillicoultry a Manufacturing Village in the days of Queen Mary—First Mills erected in Tilicoultry—First Carding-Engine in Tillicoultry, driven by the hand; and the first one in Alva, driven by a horse—Invention of the Spinning- Mule—First Self-acting Mules for wool in Great Britain, erected in Alva and Tillicoultry—Invention of the Piecing Machino and Condenser—Wool still ' pieced' in some Places by the hand—Detailed Notice of the Public Works in Tiflicoultry —The Village of Tullibody founded by Kenneth, King of the Soots, in the year 834—Battle betw.en the Picts and the Scots—Abbey of Canibuskenneth built by David I., King of Scotland, in 1147; and Tullibody Church in 1149—Unroofing of Tullibody Church by the French—Notice of Public Works continued—Building of Popular Institute in Tillcoultry—First Post-master appointed to Tillicoultry in 1833 —Telegraph from Aba to Tillicoultry constructed in 1860 —Experience of Fires. Commencement of the Village of Devonside—Kefflersbrae and Strude Mills—Formation of Gartmorn Dam in 1700—Forrest Mill, and Michael Bruce, the Poet of Lochieven—Subsequent Occupiers of some of the Mills—Great Flood in 1877— Heavy Flood in the Devon in 1785—Romantic Story about the Drysdale Family of Tillicoultry—Manufacturing Firms who didn't spin Yarns—Manufacturers at one time in Tilhicoultry—Goods manufactured at the Foot of the Ochils - Reference to some of the Works in Alva, Menstrie, and Glendevon—The Three Students and the Countryman—The Herd Laddie and the 'Even-down pour of rain—Tartan Shawl Houses at one time in Glasgow, and Euyrs who visited the Hhlfoota—The 'Tartan Ball' in Alva in the year 1845. Teachers, Bankers, and Ministers that have been in Tillicoultry Departed Townsmen—Mr. Kirk taught Archibald Campbell Tait, Archbishop of Canterbury, his 'A B C '—Eccentricities of Mr. Watt: his Definition of a Mountain—Mr. W. W. Clugstone appointed Teacher during Mr. Watt's Lifetime —On Death of Mr. Watt, Mr. M'Turk appointed—The Rev. Archibald Browning's Famous Boarding Establishment— The Rev. George Gilfillan's Opinion of Mr. Browning— Detailed Notice of other Teachers—Detailed Notice of the Banks, Bankers, Churches, and Ministers of Tilliconitry—A few of our Townsmen who have passed away since the year 1848. Tilicoultry made into a Burgh—Proprietor of the 'Pay the Day and Trust the Morn' Tavern, and the Gauger—The same Worthy, and the Cripple Laird of Tilliconitry—Present Turnpike Road along the Foot of the Ochils, constructed in 1806 or 1807—Construction of New Cemetery in Tillicoultry —Thanks. Great Flood in 1883—Contemplated Railway to the Top of Ben Cleugh—The Mysterious 'Foundling' of Gateside, Dollar—A Correction. See some pictures of Dollar here! “The most important thing for me is that we provide the right environment in which children feel they can thrive,” says Knapman, who is more likely to be found around the school, praising and encouraging pupils, than in his office. “I do not think being a teenager is getting any easier and the requirement for all schools to have a supportive, kind environment is absolutely essential. As leader it is really important I model these qualities. 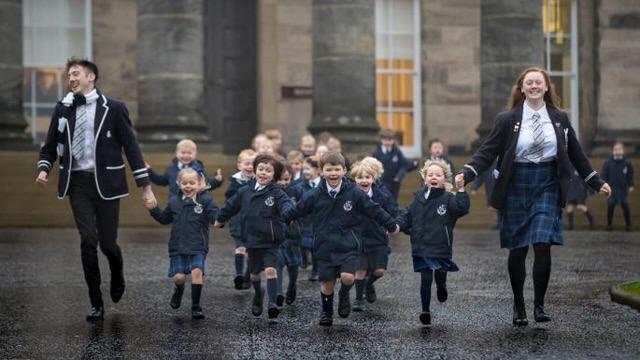 Founded in 1818, with a bequest from ship owner and philanthropist Captain John McNabb, the school is located in 70 acres of grounds in the village of Dollar at the foot of the Ochil Hills, about 13 miles from Stirling. The imposing neo-classical building designed by Scottish architect William Henry Playfair which lies at the heart of the school, survived a fire in 1961, although the interior had to be rebuilt. Impressive facilities include well-equipped art rooms and an award-winning modern languages and economics building. Dollar Academy educates 1,217 pupils aged 5-18 at its prep, junior and senior schools on the extensive campus. 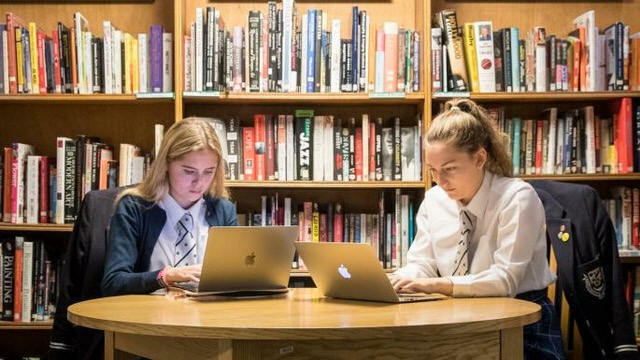 There are 90 boarders, most of whom are in the senior school, which has a roll of 842, and where annual fees range from £12,591 for day pupils to £29,133 for those living in full-time. Pupils travel in from areas including Perth, Stirling, North Queensferry and Linlithgow. There is an entrance test and/or interview to get in and means-tested bursaries are available. Last year about 70 pupils benefited from financial help to the tune of over £800,000 and there are currently 25 pupils with free places. Most take seven or eight National 5s, then five Highers. In the sixth form, pupils study for a mix of Highers and Advanced Highers – with a number taking three and some even four of the latter. They can also study non-examination courses on subjects including astronomy, philosophy and cyber security and ethical hacking. A small but growing number choose the Scottish baccalaureate (14 this year). University is the next stop for more than 90% of the sixth form who head to the UK’s best institutions including Oxford and Cambridge. Notable alumni include BBC journalist Alan Johnston, Michelin-starred chef Tom Kitchin and artist Rachel Maclean, who represented Scotland at the 57th Venice Biennale. She will be among 19 other former pupils exhibiting their work in Stirling next June, including Andrew Whalley, lead architect of the Eden Project. 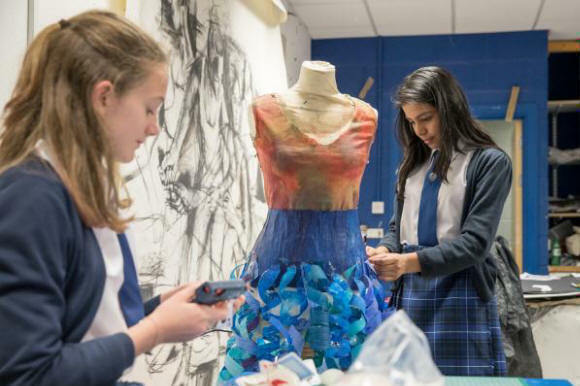 Impressive facilities include the plethora of well-equipped art rooms and the new award-winning modern languages and economics building, named after former pupil George Westwater, who was killed at Gallipoli. 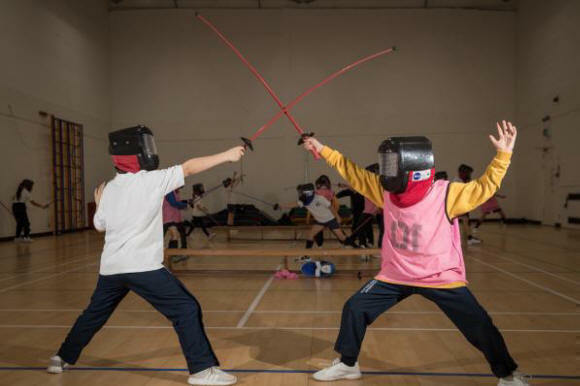 There are three cosy boarding houses, a 25m swimming pool and pitches that befit a school known for the quality of its sport. Girls play hockey very successfully, winning national and regional titles, while the boys excel at rugby and have been runners-up in the Scottish Rugby Schools’ Cup for the past two years. Pupils represent Scotland at both and the school regularly fields about 40 teams on a Saturday for these sports alone. Current Scottish Rugby Union captain John Barclay and Canadian international Gordon McRorie are former pupils. The head of rugby is former international and Scotland Under-19 head coach Don Caskie. Football is also popular. 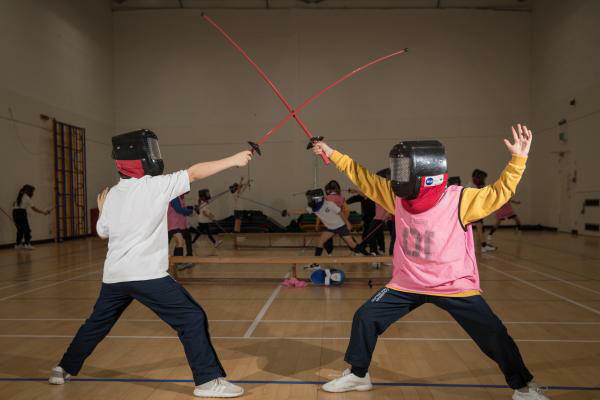 The Academy offers more than 70 clubs and societies including fencing, guitar making, falconry and surfing. “I think it is really good for children to have a passion or hobby that gives them something they spend a lot of time on, which can help them cope with stress from other parts of their life,” says father-of-two, Knapman. The former maths teacher, previously deputy head at Hampton School in southwest London, has been teaching for 30 years. There are six choirs, an annual Christmas concert at the Usher Hall in Edinburgh which involved 350 pupils last year, as well as a wide variety of plays. “There should be something for everyone, so we try to cover as many areas as we can,” says Knapman. The extracurricular offering is dizzying, with more than 70 clubs and societies including guitar making, falconry, curling and surfing. “Success breeds success,” adds Knapman. “We are trying to encourage people to have a go at as many things as possible. The environment has got to be supportive enough that you feel you can sometimes fail and get things wrong and people won’t think any less of you, they will just be pleased you had a go. We are all going to have difficult periods in our life and it is developing the resilience to cope with it that is incredibly important”. Opportunities to travel abound. The academy runs exchanges with schools in Russia, China and America and has taken pupils on trips to Japan, Cuba, Iceland and Dubai. Members of the senior pipe band are currently in Sri Lanka. Pupils can also apply for travel scholarships to carry out community work abroad. Every other year, about £55,000 is raised for six charities through a whole-school sponsored walk. Since he arrived, Knapman has introduced Mandarin to modernise the language curriculum, boosted the number of boarders by 50% and increased participation in events and activities. The number of pupils receiving piping and drumming tuition has increased by 70 over the past seven years while the number of bands has grown from one to three. The very successful Combined Cadet Force has added an extra 100 candidates to its ranks and this year the number of runners in the voluntary senior cross country reached a record high, with more than 400 pupils taking part despite the weather. Scotland is blessed with an excellent education system, one that Scots are not adverse to telling the English is considerably better than the one south of the border. While that particular argument can be left to others, what is not in doubt is that educational jewels can be discovered in both the state and independent sectors the length and breadth of the country. Looking at the Parent Power top 50 Scottish state secondary schools, we find schools from Argyle and Bute to Perth and Kinross, from the Scottish Borders to Highland, from Aberdeen to Dumfries. Attainment in all these schools, the best of more than 350 state secondary schools in Scotland, is excellent. In the vast majority more than half the pupils leave with five or more Higher qualifications, the proportion rising above 60% at the business end of the table. For some schools, their success is built on long traditions. Our Scottish Independent Secondary School of the Year, Dollar Academy celebrates its 200th birthday next year, while Bishopbriggs Academy, our Scottish State Secondary School of the Year opened as recently as 2009. Both have had record-breaking years in terms of their examinations results. However, in common with many schools where there is a strong track record in public examinations, the head teachers emphasise what the school can offer beyond the classroom. Rector of Dollar Academy, David Knapman expresses similar sentiments. “The most important thing for me is that we provide the right environment in which children feel they can thrive,” he says.